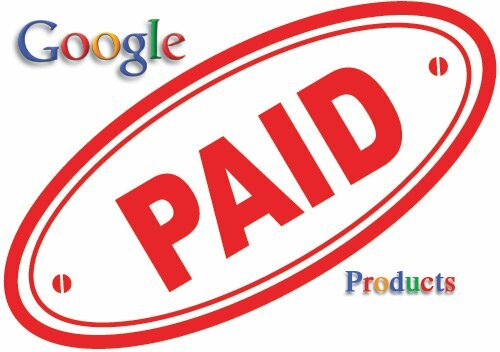 Great wailing and gnashing of teeth in the Internet world is occurring over Google’s decision and implementation to now offer paid Google product search results at the top of every Google page, including using paid product images prominently at the top of the results pages. The big merchants are simply adding the cost to their budgets, the little guys are screaming bloody murder over losing their clout because they think can’t afford the new marketing costs, and the search engine optimization professionals are seeing a lot of their hard fought and hard won work simply disappear before their eyes. It isn’t a pretty picture, despite the rather pleasant new graphics from Google. Here’s the problem: Newspapers originally embraced online versions of their daily product on the Internet by offering their content for free. Oops! They discovered savvy consumers would rather read online for free than pay for a printed copy every day as newspaper circulation declined dramatically. Search engine results used to be completely free, too, but that has changed, and people used to free don’t like to give that up easily. The mistake was making too much free in the beginning; the Internet was considered a democratic marketplace instead of a capitalist marketplace. As long as the old, free system was in place, a little help from a good SEO program could alter the search engine ranking results in favor of a particular web site, which would alter the bottom line of the web site in a favorable way all the way to the bank. But, free is gone, and the gored oxen are bleeding all over the place. Does free last forever? Not usually. How is this problem solved for smaller businesses attempting to compete with the big boys? The answer is to be smarter than the big boys, to better target offerings, and to be more appealing to average shoppers. In other words, web sites are going to have to be more clearly focused, and content on those sites is going to have to be better defined, either through text or images or both. Which also means taking another look at SEO programs, and, instead of goosing search engine efforts perhaps once a month, goosing them more often. Is this going to cost more? Probably. But, if free is gone forever, then the simple answer is to make the best of the situation and push forward with Plan B.
Oddly, this situation is going to help legitimate SEO program offerings, and pretty quickly weed out the amateurs who are taking money for a poor offering and delivering lousy results. There is no question the Internet is becoming more sophisticated – and, at the same time, more professional – so it is only natural companies such as Google are going to change the rules. Google, too, is in business to make money. That’s what they are doing with paid search and shopping results. Look to the other major search engines to follow suit. Those that don’t simply won’t matter because they will be such minor players. When Lord Cornwallis lost to General Washington and the Continental Army at Yorktown, Virginia in 1781, his ironic signal things had changed, and the mightiest empire in the world, Great Britain, had lost to an army it considered rabble, was the British Army band played “The World Turned Upside Down” during the surrender ceremony. The Google band is tuning up; free is gone, it’s time for more SEO professionalism and the reality that the Internet itself simply isn’t free, either, in the big picture.